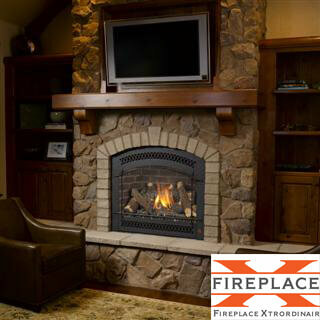 Some people choose Fireplace Xtrordinair for their wide selection of premium quality gas fireplaces and gas inserts – each custom-crafted with an artful eye for detail. Some value their reputation for energy efficiency and innovative design. Some appreciate that they build every product here in the US. See for yourself why more than a million customers choose Fireplace Xtrordinair. 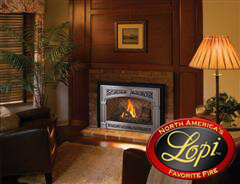 Lopi (pronounced Low-pie) heating appliances are designed and hand-assembled at their state-of-the-art plan in Mukilteo, Washington. With 30 years of experience manufacturing innovative hearth products, Lopi has gained a reputation for standing behind every single product they make. And one thing that hasn’t changed through the years is the quality of the construction, the beauty of their fireplaces, performance you can trust, along with their commitment to your satisfaction. 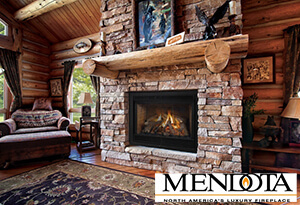 Choosing a Mendota luxury fireplace feels like an indulgence as you gaze at the incredible, authentic fire or browse the array of designer fronts and doors. Then you realize the warmth, beauty and efficiency of your Mendota will be yours for a lifetime, and suddenly it feels like an investment. That’s not just luxury – it’s luxury where you live. Zero clearance fireplaces are designed for applications as new fireplace in new constructions or when renovating. 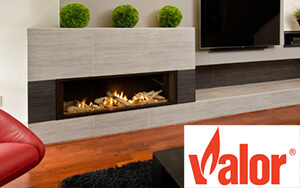 Valor offers superior performance fireplaces which can be installed just about anywhere, which in turn, increases the value of your home. Most zero clearance appliances require direct vent installations. A fireplace is an excellent investment, a great opportunity when you build a new house or when you renovate your house. A high-quality fireplace will increase the value and comfort of your home and make you save money at the same time. 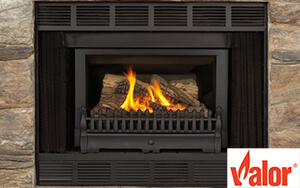 Valor radiant gas fireplaces allow you to take advantage of the zone heating by providing heat where you spend most of your time, a good alternative to central heating. Your house becomes more energy efficient. Ideal for wide wall spaces the linear series showcase leading edge design, quality finishes and high efficiency. Our linear models combine Valor’s proven performance with the latest in linear design. Keep in mind that Linear units are still a part of the Zero Clearance family, but we wanted to better represent them with a section on their own. Our fireplaces are highly effective radiant and convective heaters, with low turndowns providing hours of comfort, efficiently distributing warmth where you want it – when you want it. Our radiant gas fireplaces allow you to take advantage of the zone heating by providing heat where you spend most of your time, a good alternative to central heating. Your house becomes more energy efficient. Are you converting from wood burning? Gas Fireplace Inserts are designed for installation in your existing fireplace cavity, to convert a wood-burning fireplace to either natural gas or propane. The ability to adapt in the insert gas fireplace industry is crucial for success, that is why Miles Industries is proud to be recognized as the number one insert company in North America. 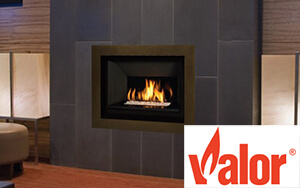 Since 1991, Valor inserts have evolved to become the most energy efficient, controllable heat source for your home. Upgrade your hearth’s efficiency, and breath new life into your home. Welcome choice and embrace your individual style with a product line that houses several distinct accessories and quality trims. Stay traditional or go contemporary, it’s your decision. Enjoy an evening relaxing in front of realistic flames that produce radiant, warm heat. Eliminate smoke, messy ashes and cold drafts with an efficient, economical insert. match design elements on your fireplace to your home. Regency engineers have created a broad family of fireplaces so that you can enjoy a Regency almost anywhere in your home. 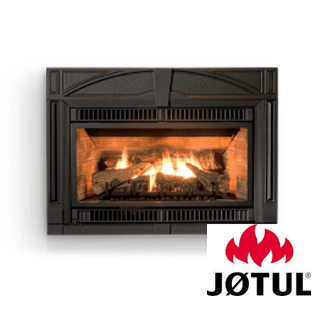 Turn your drafty fireplace into a heating giant with a gas fireplace insert from Jotul. The Ultimate Custom Gas Fireplace for Every Space.